Hello there! Niki here with a pupdate about myself. 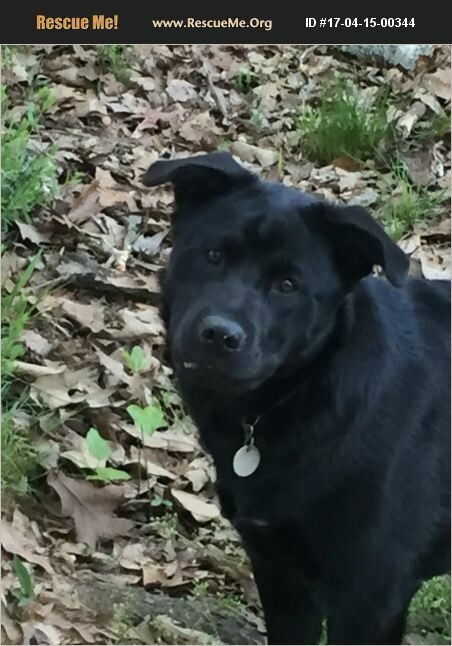 I am one of the not-so-small pups from the black lab/chow mix litter of eight. It's just me and my sister Loki who are left now. Don't let my size deceive you, with being a bigger gal, there's just more of me to love and a bigger heart to give it right back to you. In my foster's care, I've mostly been an outside dog but go inside from time to time with no accidents. Growing up around all of my other siblings (fur and human), I love other dogs and kids, but am still a little afraid of cats. My human foster siblings come play with me and sing to me every afternoon�'�| they're even helping me learn to walk on the leash! My ideal foster family would take me in as a member of the family and provide me with wonderful companionship. My furever family should also have a giant fenced-in backyard so that I can run, play, as well as be inside with my family for when I'm feeling a bit more snuggly. I'm a sensitive pup and I give great kisses. P.s. Need a great exterminator? I'm your gal. One of my more recent hobbies has been hunting and playing with crickets in the backyard. ;) If you are interested in giving Niki a forever home please visit the link below to fill out an application! http://fureverafterrescue.org/applicationsforms.html It is best to submit an application through a computer. We have experienced some problems when applications have been submitted using a mobile device. *When you submit the application you are not obligated to adopt however it does reserve for you the opportunity to adopt that particular animal. We review them on a first come first serve basis. If your application is approved, we will contact you and allow you the opportunity to adopt. If you choose not to adopt we will contact the next approved applicant. If you have any questions or difficulties, please contact us we will be glad to help!